Courtesy of Keller Williams Realty Westborough, Nicole Palmerino. NEW PRICE! 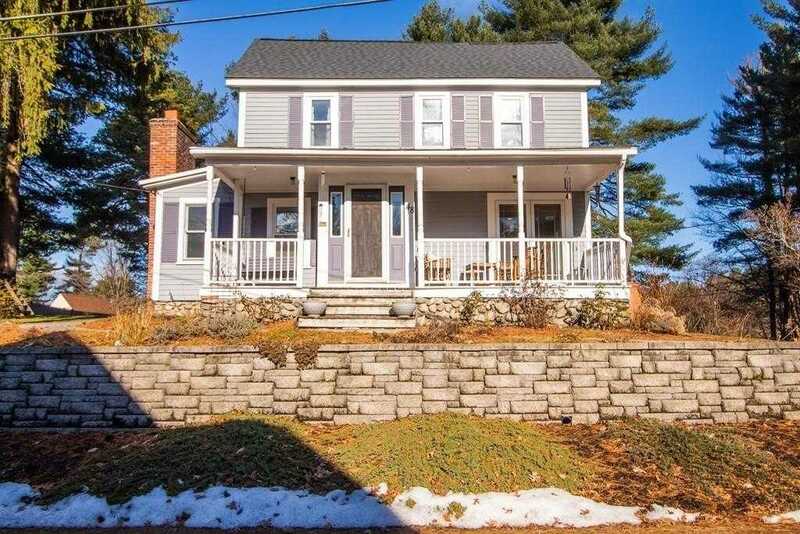 Fully renovated 3-4 bedroom Colonial perched atop a hill with some pond views from your large farmers porch. The backyard affords a spacious area to entertain and play, providing just the right amount of privacy. Entering this home through the front door, you will find NEW hickory hardwood floors, as you enter the living room/dining room combo. Proceeding to the 2 YEAR OLD custom designed kitchen, with no detail left Behind!! Entertain with the big island, stainless steel appliances, tile flooring & granite.The kitchen flows into a sitting area which walks out to the backyard via sliding doors. Additionally, the 1st floor has a full bathroom with a soaking tub & shower, 1st floor laundry, & a large custom built mudroom which connects the over sized 2 car garage.The 2nd floor has 3/4 spacious bedrooms with an additional bathroom! This home has a NEW 50 yr Roof, the driveway was redone when the garage was added and NEWER windows and doors throughout-Don 8217;t miss this beauty! Disclosures: There Is A 4th Bedroom On The 2nd Floor But It Does Not Have A Closet. 1st Floor Has Lower Ceilings. 2nd Floor Floors Have Settling, Typical Of An Old Home. Buyer And Buyer 8217;s Agent To Do Their Own Due Diligences. Please, send me more information on this property: MLS# 72430294 – $359,900 – 48 Lincoln Ave, Holden, MA 01520. I would like to schedule a showing appointment for this property: MLS# 72430294 – $359,900 – 48 Lincoln Ave, Holden, MA 01520.